Aldous Huxley (1894-1963) inherited a keen interest in science and education from both his paternal and maternal grandfathers, Thomas Huxley and Tom Arnold. Although Huxley is now best remembered for his fictional works, such as his dystopian novel Brave New World (1932), he began his authorial career as a poet. 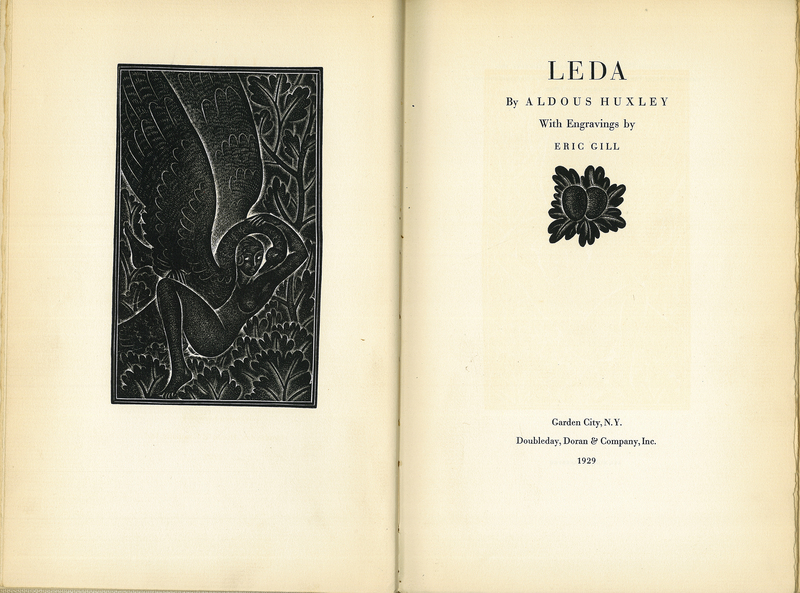 Leda (1920) was the third major collection Huxley published by age 26. Critics often read this work as representing the height of Huxley’s poetic talent and signaling his turn to fiction writing. Aldous Huxley, “Leda,” ourheritage.ac.nz | OUR Heritage, accessed April 26, 2019, http://ourheritage.ac.nz/items/show/10234.